You’re probably used to the checked bag fees that airlines have been charging for years now. Most of us are used to paying between $20 and $30 for the first checked bag, and paying even more for additional bags (some airlines charge $100 for a third checked bag). 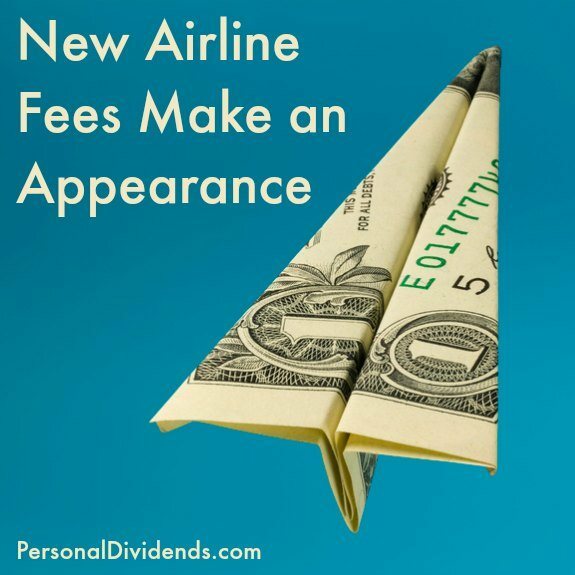 Unless you’re flying Southwest or JetBlue, which both allow your first bag to fly for free, and unless you belong to an airline rewards program that gives you free checked bags, you’re probably resigned to this fee. When airlines began charging for checked bags, consumers responded by trying to fit more into carry-on bags. Now, though, things are getting a little ridiculous. Airlines are starting to enforce carry-on bag rules, as well as charging for carry-ons. In fact, some airlines charge for your first carry-on bag. There are airlines, like Frontier, that actually charge more for a carry-on bag than a checked bag. If you pay for your carry-on ahead of time, you might get a discount. However, if you show up with a carry-on, and especially if it doesn’t meet the carry-on specifications, you will be charged more. The days of bringing a carry-on and then relying on the gate-checking your bag for free are disappearing. Some airlines will allow flight delays so that they can charge passengers for their bags at the gate. Unless you’re flying Southwest, you can’t change your airline ticket without paying a fee. Many airlines charge up to $200 just to make the change in your reservation. If there is a difference in cost, you will have to pay it on top of the change fee. This can get expensive quite quickly if you find yourself making unexpected changes to your trip. This fee is especially popular on discount airlines. If you are willing to pay between $15 and $50, you can choose a more comfortable seat, perhaps one with a little more leg room, or that is located in a popular area of the airplane. In some cases, you might pay $8 just to be able to choose your seat. If you are willing to take whatever you are assigned, you don’t have to pay, but if you want to designate an aisle seat or a window seat, you could find yourself paying an extra fee for the privilege. It seems a little like nickel-and-diming, but if you end up paying $15 for a preferred seat and $25 to check a bag, your ticket price has gone up by $40. And that’s just one way. Your round trip, if you choose a seat for the return flight and check your bag again, the total in extra fees is $80. Gone are the days when you could expect a meal on a flight longer than three or four hours. Now if you want a meal or even just a sandwich, you need to pay for it. You might also be charged a fee for headphones, premium in-flight entertainment, and more. Some airlines even charge a fee now if you get a pillow or blanket. In order to combat these fees, you can bring your own items. While you can’t bring liquids through security, you can bring solid foodstuffs. Make a sandwich to bring, or some granola bars or fruit. If you want, you can bring an empty water bottle and fill from a drinking fountain once you get through security. And of course, you can bring your own entertainment on any number of mobile devices. There are some fees that you are just stuck with. However, with a little creativity, it’s possible to avoid some of these other costs. Charging for carry-on makes worlds more sense than charging for your first checked bag: it’s the carry-on that slows boarding and deplaning.